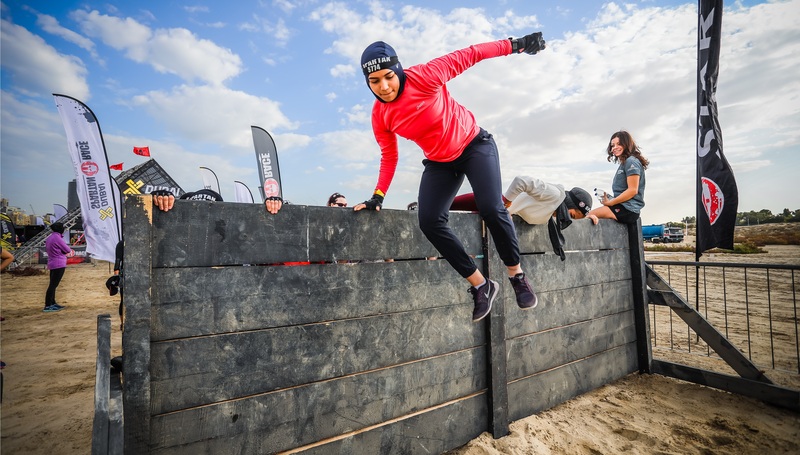 Action sports brand XDubai, together with Spartan Arabia and supporting partner Dubai Sports Council, are bringing back the XDubai Spartan Women’s Race during the second annual Dubai Fitness Challenge. Open to women aged 15 and above, the event, which will be held on Saturday, October 27 at Jebel Ali Racecourse, builds on the region’s first Spartan Race and will include not one, but two new race lengths, as well as a Spartan Kids’ Race designed specifically for the next generation of Spartans. With approximately 2,000 women expected, the event will feature a 5+ km Sprint that packs more than 20 signature Spartan obstacles, and a 13+ km Super with over 25 signature Spartan obstacles, as well as a tougher and more rugged terrain. Both Sprint and Super lengths will also feature Elite and age group category options for those wanting to test their mettle against fellow competitive athletes, while giving the top Elite racers a chance at glory and cash prizes. Distances for the Spartan Kids’ Race, which is open to both girls and boys, range from 800m for kids aged 4-6, 1.6km for kids aged 7-9, and 3.2km for those aged 10-14. Along with being held during the second annual Dubai Fitness Challenge, the event will take place during Breast Cancer Awareness month. In keeping with the spirit and importance of the month, Spartan Arabia has pledged to donate a percentage of the proceeds from the event to the Al Jalila Foundation in partnership with Brest Friends, as well as give participants an easy option to donate when registering for, or competing in, the event. Funds donated will be used to support breast cancer patients and fund ongoing research. With tickets available now, the Sprint and Super races are exclusively open for female participants, but the fun and interactive festival area will be open to both women and men to cheer on their mothers, wives, friends and colleagues who will be competing in the race. Mohammed Javad, general manager of XDubai said: “Last year was a monumental year for the XDubai Spartan Race with a series of firsts, including the first women’s Spartan Race to be held in the Middle East and Africa region. “The feedback from women who participated in that race – many participating in a Spartan Race for the first time – was nothing short of incredible. 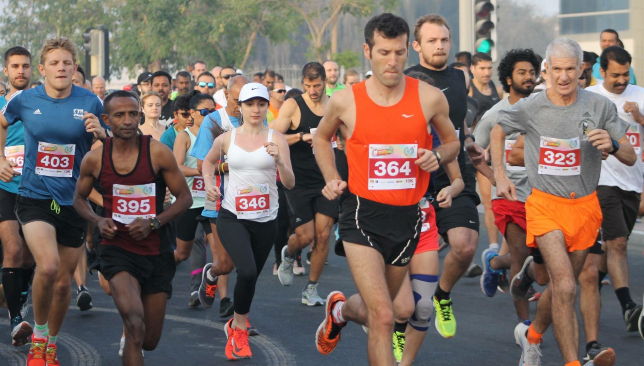 The region’s first Spartan Women’s Race was held in December 2017 at Jebel Ali Racecourse. The 2017 event saw approximately 1,000 women from across the UAE and the region compete in an Open Sprint Race category comprising of 5+ km and approximately 20 obstacles. With registration open online through www.SpartanArabia.com, and tickets to the race expected to sell out fast, organisers are encouraging all Spartans to sign up as soon as possible to avoid disappointment. Club Vista Mare on Palm Jumeirah is hosting renowned handpan musician Sherif El Moghazy at the fourth edition of Core Beats, the immensely popular, free-to-attend beach yoga and fitness concert on Saturday, where participants can enjoy trance music-themed workouts and great deals on healthy menus. Set on the beach offering spectacular views, Core Beats will feature yoga flowing to the beat of handpan trance music, followed by a heart-thumping HIIT workout with DJ Sara G on the decks. Participants can also enjoy a variety of dining offers at selected Club Vista Mare restaurants to help refuel after the workout sessions. Breeze Beach Grill is offering 15 per cent off all food and drink, while Aji is offering an exclusive post-workout drink on the house, and a 20 per cent discount on food. The Tap House has 25 per cent off all healthy cuisines; Abyat is offering guests 15 per cent off the total dining bill; Simply Italian has a selection of drinks at Dh27 each and 15 per cent discount on special items on their menu. 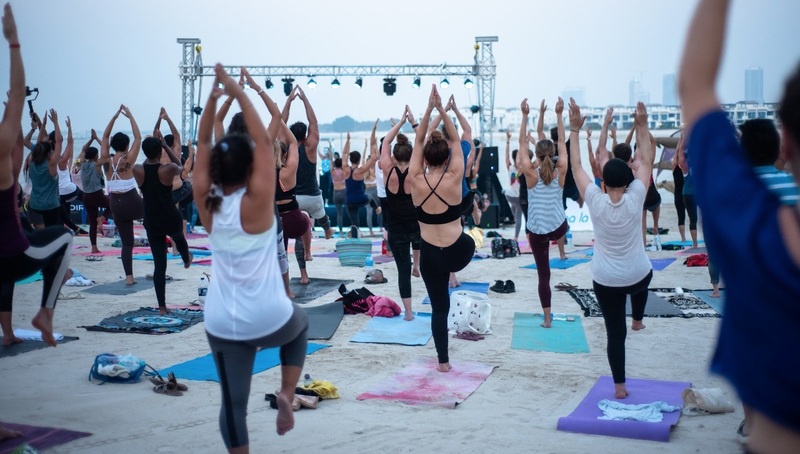 Core Beats is held in collaboration with Dubai’s leading yoga studio, Yoga La Vie, to create an unforgettable workout for concert attendees guided by a line-up of prominent yogis and fitness instructors. The timings are 18:00 for Yoga Beats and 19:30 for Fitness Beats. Participants must bring a personal yoga mat or beach towel, and a water bottle. Trance music-inspired Yoga Beats will feature a hypnotic Ashtanga Vinyasa Yoga flow that focuses on synchronising movement with breath from one pose to the next. Guided by three of Dubai’s top yoga practitioners – Nitai Krishna (@nitaiyoga), Vanessa Roux (@yogagypsywarrior), and Lea Daaboul (@lea_daaboul) – attendees will experience entrancing asanas to keep them vitilased, awake and anchored to their inner self. Fitness Beats is a 60-minute body weight, high-intensity interval training session that increases strength, muscle and cardio endurance, releases endorphins and can burn up to 1,000 calories per class and extra calories for up to 24 hours post workout. Designed for fitness enthusiasts, the workouts are provided by three of Dubai’s fitness rock stars: Clifford Tindell (@inspiringmovement), Taylor Walsh (@taylorwalsh406), and Patricia Kallidis (@YogabyPatty). The last three Core Beats sessions at Club Vista Mare saw more than 800 participants in total. Future events are scheduled for November 24 and December 14. Head down today to end your weekend on the right note.